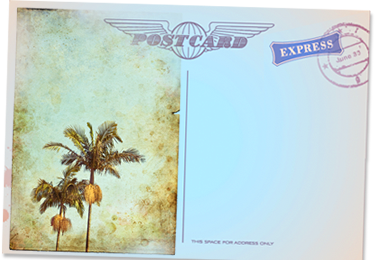 The feeling, the excitement of a holiday, where adventure waits to be unwrapped in hours of sunshine explored with laughter and a digital camera. Dreams of an unknown land made into a reality, authentic to the core with aromas of native cuisine, friendly smiles and a landscape all fused together the rich colours of customs. Etch these memories with an icon that was born out of passion, add the authenticity to the holiday. 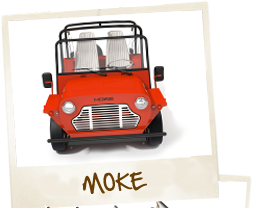 Experience it all in a MOKE – start having fun! Born as a sister to the famous Mini, MOKE has stayed true to it’s original design with only the introduction of comfort to the interior and technology to the engine. 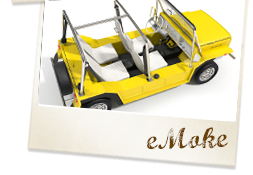 MOKE is the unique option, its in a class lead by recreation, pleasure and enjoyment! Don’t miss out on the experience.